Why do ViewGroup's only get ACTION_DOWN in the onInterceptTouchEvent? According to the docs, as long as false is returned it should receive all the event types. http://developer.android.com/reference/android/view/ViewGroup.html#onInterceptTouchEvent%28android.view.MotionEvent%29 Point #3. 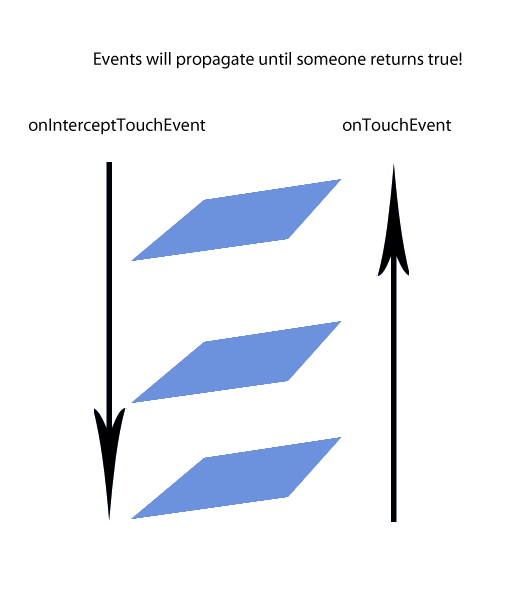 I'll answer my own question: onInterceptTouchEvent only get called if the parent has a child view which returns "true" from onTouchEvent. Once the child returns true, the parent now has a chance to intercept that event. All answers are same. I tried many times, always not get onInterceptTouchEvent () be called if not down event. 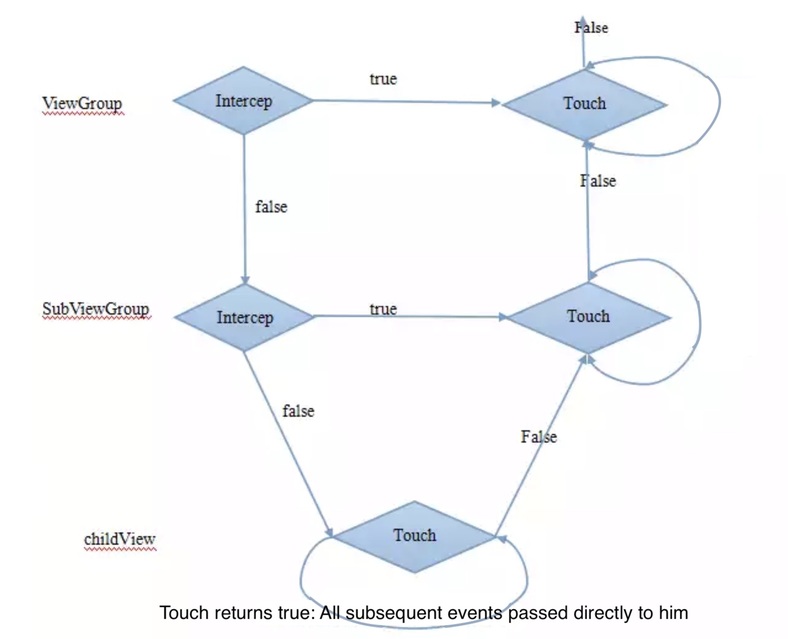 According above code, onInterceptTouchEvent(ev) is only be called when MotionEvent.ACTION_DOWN, this is what we tried and found. So, what I guess is, the code is changed, but doc not.